This is for a stand-out member of the independent school community, at any level, who has shown a sustained contribution to the sector. Please include at least three independent testimonials from staff, governors or students. Highly effective schools require exceptional leadership. This category is for a senior team that can demonstrate excellence in strategy and direction. If your school has an SLT with a great track record, we want to know. In your submission, please detail the elements that have contributed to this success, including staff development, academic and other achievements, community engagement and all the aspects that go into creating a truly successful school. Please include at least three independent testimonials. SLT members’ individual input should be clarified and evidence provided of their success. 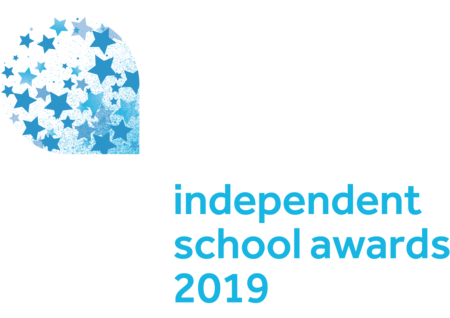 This award recognises initiatives that involve working with external groups such as parents and the local community (either within or outside a charitable school's objectives). It could also include a link-up with an overseas school. A submission should demonstrate a benefit to all parties involved. Judges will need to see evidence of effective engagement and a demonstration of how the school is the beating heart of its community. Please supply a minimum of three testimonials from members of the community that the school works with. This award recognises initiatives that involve working and cooperating effectively with a state school or schools. The benefits to all parties must be made clear. Evidence of effectiveness and impact must be provided. The judges will be looking for projects that demonstrate creativity, energy and a business-like approach in delivering great results. This award recognises a project that has helped children with special needs to fulfil their potential and to improve learning outcomes. It does not have to be a project from a special school. Evidence of effectiveness and impact must be provided. This award should highlight an impressive initiative to improve mental health at your school. While wellbeing may be hard to measure, we would like to see evidence that the scheme (or schemes) has benefited either the entire school or a targeted group of pupils. This award is for independent schools that put creativity at the heart of their work. This isn’t about individual projects in art, drama, music or design – although it could take in one or all of these subjects – this is about making children think differently, beyond the strictures of the conventional curriculum. Ideally, there should be a whole-school or cross-curricular approach to one or more projects and there should be evidence of a blossoming in creativity in pupils. While creativity may be hard to measure, we would like to see evidence that the scheme (or schemes) has benefited either the entire school or a targeted group of pupils. Education is the business of schools. The independent school sector is renowned for its innovation in this regard. This category recognises initiatives in improving learning outcomes for pupils and helping them to fulfil their potential. It can be a school-wide or year- or subject-specific initiative. It may be an internal project or even one that was subsequently used commercially for other schools. Evidence of success and impact must be provided. A good school reputation is everything; maintaining or enhancing it is at the heart of the most effective marketing. This award recognises a powerful strategy to promote some aspect of the school to a wider community. It can include both offline and online projects. This is for a school based outside the UK that espouses a British education and that has made an outstanding curricular, strategic or financial achievement. This title will be awarded to a boarding school in the UK for its performance in the 2017-18 academic year. It is equally applicable to schools that have experienced rapid improvement and those that are maintaining continued excellence. The judges want to see more than academic achievement: entries should demonstrate innovation, imagination and efforts to develop children in ways that go beyond the league tables. You should provide evidence to support your application, whether inspection reports, parent testimonials, data analysis or anything else you feel relevant. This title will be awarded to a pre-prep/prep school in the UK for its performance in the 2017-18 academic year. It is equally applicable to schools that have experienced rapid improvement and those that are maintaining continued excellence. All-through schools with pre-prep/prep departments may also apply. The judges want to see more than academic achievement: entries should demonstrate innovation, imagination and efforts to develop children in ways that go beyond the league tables. Please provide evidence to support your application, whether inspection reports, parent testimonials, data analysis or anything else you feel relevant. This title will be awarded to a day school in the UK for its performance in the 2017-18 academic year. It is equally applicable to those that have experienced rapid improvement and those that are maintaining continued excellence. It is for senior day schools or all-through schools that have a senior department. And finally… the winners of the Pre-prep/prep, Senior and Boarding categories will automatically be entered for this award. The winner will be announced as the finale to the evening.